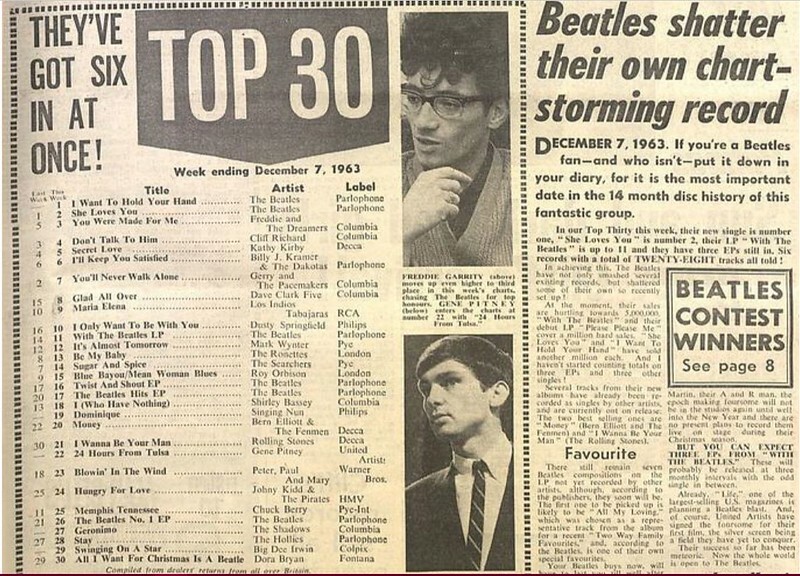 Beatles supplement from Disc and Music Echo, 11th November 1967. From DISC 7th December 1963. Article on "Twist and Shout" EP from DISC on 24th August 1963. From DISC 14th March 1964. Bring back physical sales, not these horrible streams. Watch the brand new video, Glass Onion. On Christmas Eve 2015, we saw the catalog of the most successful band of all time being released on major streaming platforms including Spotify and Apple Music. 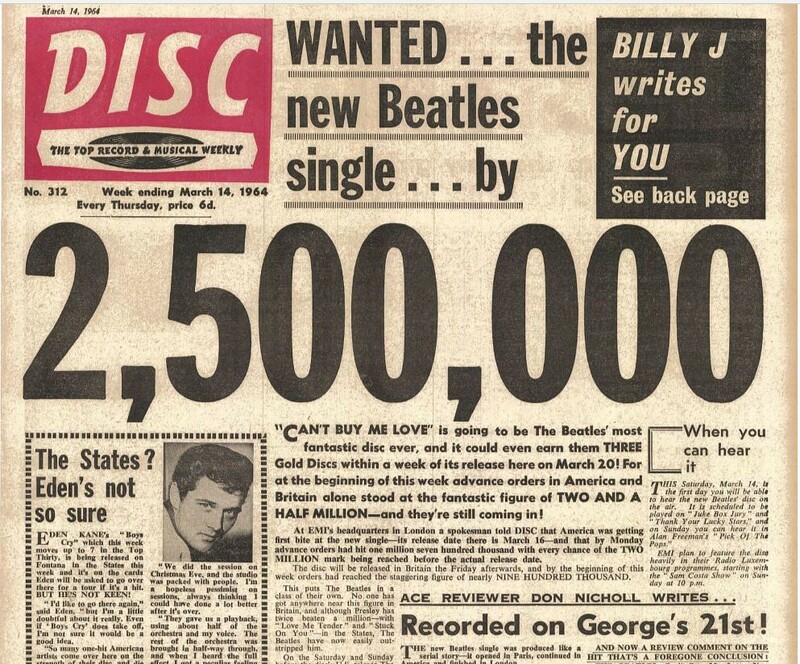 But how big have The Beatles become on streaming? Here is the answer! So why would anyone want to download the White Album today at £17.99 when on Friday you can download the 2018 re-mix double album with 27 extra tracks (the Esher demos) for exactly the same price? Or better still, wait for the usual Apple sale in December and get it for £9.99. Because there are lots of people who don't know about the new version...a friend of mine who buys plenty of albums and likes the Beatles told me on Tuesday that he was completely unaware of it...pre-publicity is nowhere near as widespread as it was for Sgt. Pepper last year. Re: the white album, I have a sound scan figure of 3,925,073 dated 3/30/2014... If anyone has a more current sales figure, please post. Just got my copy of the 6 CD set of The White Album from amazon. I ordered 2 copies from Amazon, it will be interesting to see if the serial numbers are back to back. Any idea what the serial number refers to? The total number of box sets issued worldwide? How come you got it a day early? But being beaten everywhere by Imagine Dragons and Muse. I have no idea about the serial no. The CDs were manufactured by optimal media GmbH in Germany (about 150 km north of Berlin). It was shipped on Wednesday and arived just today. Hopefully these will be combined.